UPDATE: This appears to be out of print. There may still be some shops that have copies left or you can try good old Ebay. I’ve collaborated with Peter Doolan, of the great Thai cassette blog monrakplengthai, on an album of 14 early Luk Thung 78s from Thailand, published by the Grammy Award-winning label Dust-to-Digital on their vinyl imprint Parlortone. No turntable? Don’t worry, it’s available for download on iTunes and Amazon. It was compiled by me from my collection. Peter researched and wrote the notes while living in Bangkok last year. The album explores similar ground as Sublime Frequencies’ “Thai Pop Spectacular”, “Thai Beat A Go-Go” from Subliminal Sounds and Soundways’ “Sound of Siam”, but with a focus on the earlier, down-home roots style instead of the rock and pop influenced material found on these other reissues. The garage band/proto-Thai rock stuff is cool, but here at Haji Maji our interest tends toward the raw, rural and traditional sounds. Included in the album is a 6 page, full-color insert with detailed notes and images of the various record labels. Special thanks to Jon Ward, Michael Graves, Debbie Berne, Rob Millis and the Dust-to-Digital crew. The new year began with the death of my computer. fun. As we move into year four of Haji Maji, I’ve decided to do a little blog fundraising. If you’ve been enjoying the rare, un-reissued recordings over the last few years, please consider supporting Haji Maji by throwing five bucks into the tip jar via the “donate” button on the left. You can rest assured that it will go back into the blog, in the form of records, bandwidth, images, etc. There’s plenty more good stuff lined up, so stay tuned! Our pal Jonathan Ward, the man behind the famous Excavated Shellac blog, really knows how to bring these records back to life with his inimitable brand of phono-ethnomusicology. Order it up while supplies last! 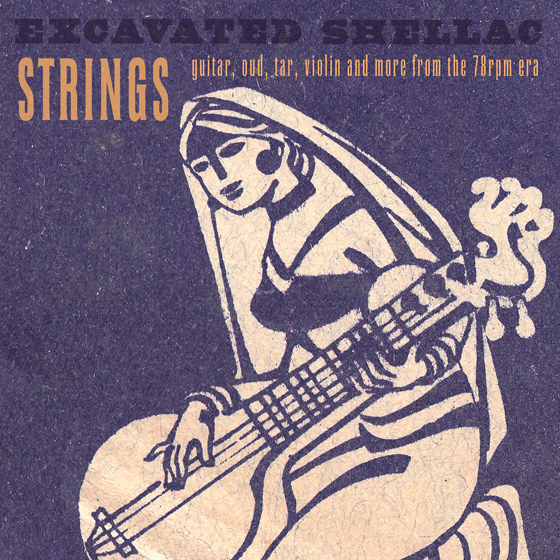 more info at Excavated Shellac. I’m no longer selling 78s through ShellacHead.com, but I am posting some rare records for your enjoyment.